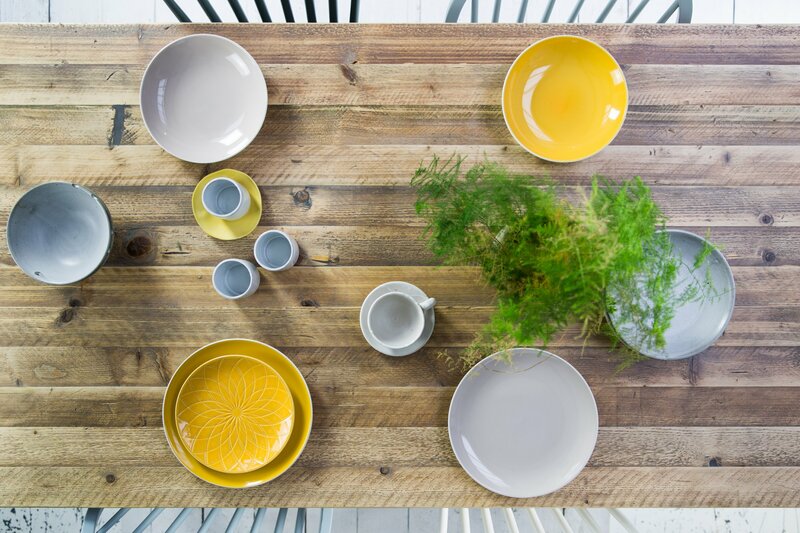 Our three table top options offer a very interesting variety of style and appearance. 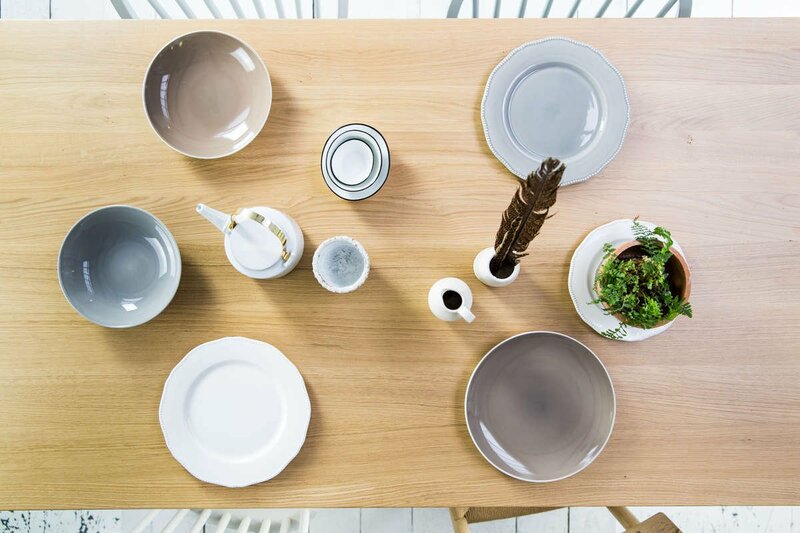 All three look stunning on our table frames and are all finished with the same clear matt hardwax oil which protect the tops from spillages, stains and provides a strong enough protection to allow hot plates and cups to be placed on the surface. The character in this table top is so beautiful. This top is made from 100% reclaimed weathered materials. We don't artificially make it look old or apply any stain to make it darker, instead, we source the very best wood that makes the perfect natural rustic appearance to be the focal point of your table. A slightly softer wood than oak which means those dings and dents your children add will immediately start to develop some history. We finish the top with 3 coats of hard wax oil so you have a lovely smooth characterful, robust finish that will last for years. Spill a glass of red on the surface? Don't worry, It won't stain! The Wild Rustic Oak table top will have your guests in awe. It's truly amazing with its incredible unique natural detailing of splits and knots. It is these defects in the FSC certified European oak, along with the natural waney edge sides, that make this table top a very smart, unique and contemporary piece. We finish the surface with three coats of the very best hard wax oil to give you an incredibly robust and durable finish. You can place hot plates and cups on the surface and it won't stain or mark. The Prime European Oak top is our cleanest top. Free from any knots splits or blemishes, it shows off the natural flow of grain making this a really smart contemporary top option. At 40 mm thick, it boasts a solid presence in any setting and has a beautifully smooth look and feel. Finished with three coats of our hardwax oil for an exceptionally strong and robust finish which means you can place hot items on the surface and spillages will wipe clean with ease. Our table frames are the backbone to our farmhouse tables which means we make them strong enough to last a lifetime. All our frames are glued mortice and tenon joints, doing away from the weaker corner bracket alternative. It's detailing like this that means your table can be passed on to generations to come. 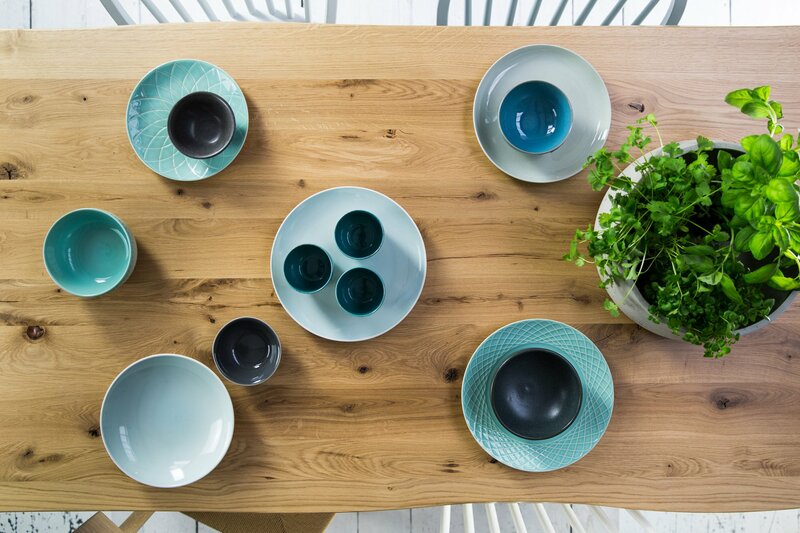 The traditional turned base is a timeless classic design that will be around forever. The legs are a solid 115mm thick giving the table a good chunky appearance. We can also offer a thinner 88mm leg on request. The Turned leg also comes with a rather neat detachable option where the join is just under the top square section of the leg making this a really handy option for tight access on delivery. 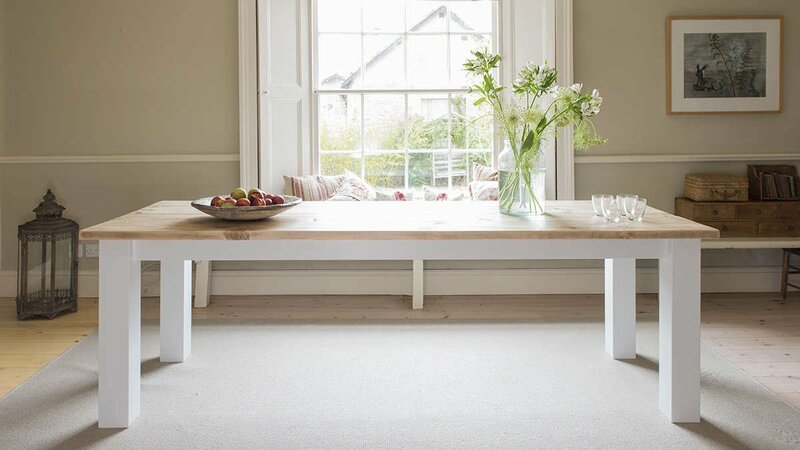 Our square leg frame option offers a very smart contemporary look and feel and goes very well with all our table tops. The legs are a solid 115mm square and come with a mortice and Tenon join into the frame for ultimate strength. The Square leg can't be made detachable so please bare this in mind when ordering. If you have any doubt then please contact us as there are ways we can deliver and assemble on site. 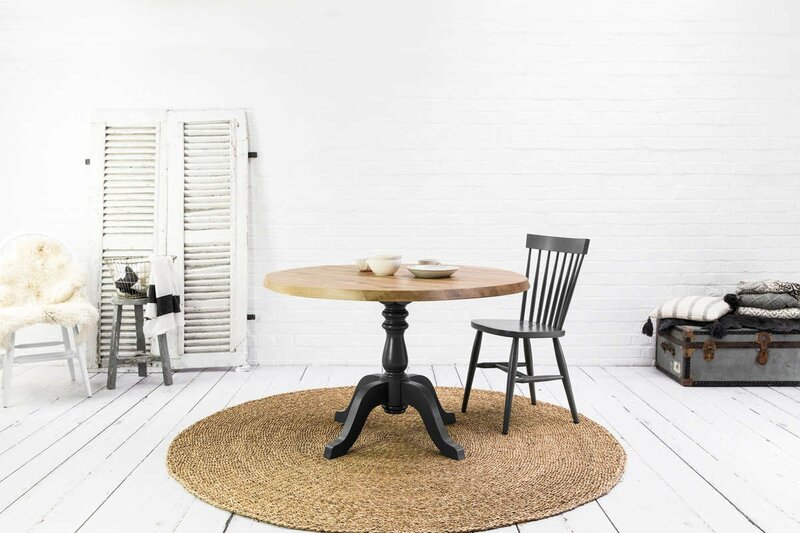 Like the turned option, we can also offer a thinner 88mm square leg option for smaller farmhouse tables. Our classic and elegant turned pedestal base is made from solid beech. The design of the turning pattern is what makes this pedestal base so desirable with its chunky central column, offering a contemporary yet traditional look. 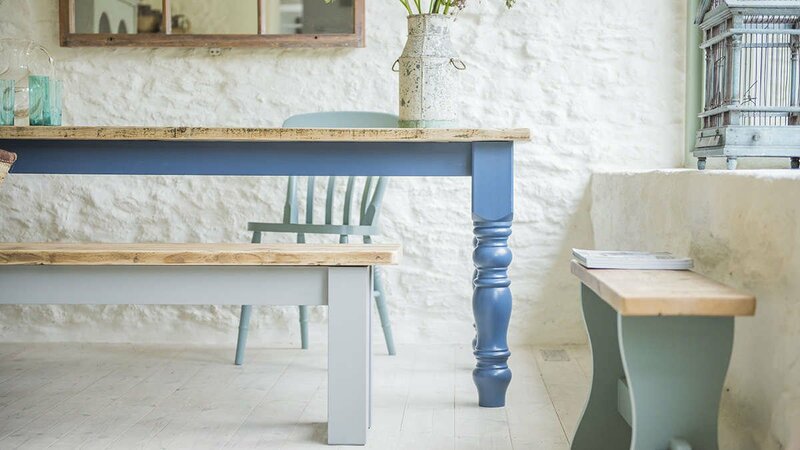 Painted in any colour, its a perfect solution for any of our gorgeous round table tops.